STREAMING Tips Roku tv Watch Free movies & TV shows on any Roku with FilmRise Channel - Roku store. Watch Free movies & TV shows on any Roku with FilmRise Channel - Roku store. Hey guys today i am going to tell you how you can Watch latest HD movies & TV shows on any Roku with FilmRise channel. Install it from the Roku store. 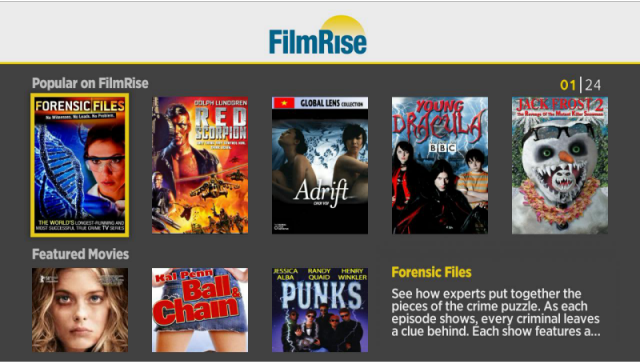 FilmRise delivers unlimited FREE instant streaming of popular movies and hit TV shows. Choose from our extensive collection of movies and TV spanning all genres – available absolutely free with no subscription .